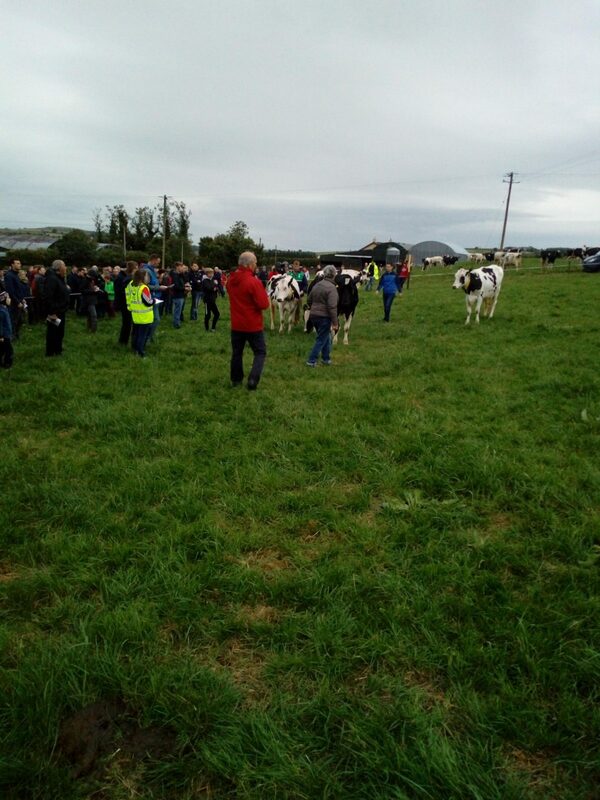 The Cork Holestin Friesian Club held a field evening on the farm of Seamus and James Crowley of the Moneygurran holstein herd Coppeen. The evening consisted of a range of stock judging including the junior cows, senior cows and heifer classes. The master judges on the night were Joe Collins and Jerry Hegarty. Approximately 350 people attended the event on the night. The Crowley family run a high performing pedigree holstein herd consisting of 170 predominately spring calving cows with a small percentage of autumn calvers. Last year the herd delivered 600+ kg of milk solids per cow to Dairygold Co-Op.